Dental Gum lifting, also known as ‘gingivectomy’, is a cosmetic dentistry procedure which improves the aesthetics of your smile by ensuring the gum line of your teeth is in the best possible position to show off your teeth. The procedure is quick and relatively painless. The gum area around the front teeth is usually the only area corrected, as this is the most visible section of your smile. Your National Dental Care dentist will cut into and reshape the unsightly gum area, using a soft tissue laser to seal off the blood vessels and minimise any bleeding. Any pain after the procedure can be controlled using over the counter medicines, and should only be necessary immediately after the surgery. If the gum lift is undergone at the same time as other cosmetic surgery, recovery time may be longer. 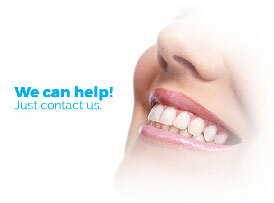 Your National Dental Care dentist will advise you on expected post-surgery recovery time. To ensure best long term results, you will be advised to attend regular follow up appointments and follow prescribed at-home oral hygiene instructions. This will help prevent infections, further gum recession and keep your new smile looking healthy and clean.